So you're a new English teacher. Congratulations! The first year is the most intense, the most overwhelming, and often one of the most rewarding and fulfilling. But often there's not much sleep, not much comfort, and not much relief. Life is one long marathon of work, punctuated by the deep joy of seeing your students engage and succeed. Mountains of grading join you at your favorite coffee shop now. One negative comment on a student or administrative review haunts you in the middle of the night. Lunch is a flurry as you dash to make photocopies, catch up a student who just missed a week of class, and microwave your leftover pad Thai. After almost a decade in the classroom, I can look back at my first year and see some of the things that could have helped me so much. Some of them are hacks that I had figured out by the end of that first year, and others have taken me much longer to figure out. I hope they can help you avoid some of my long nights, technology crises, wardrobe stresses, and general first-year frenzy. 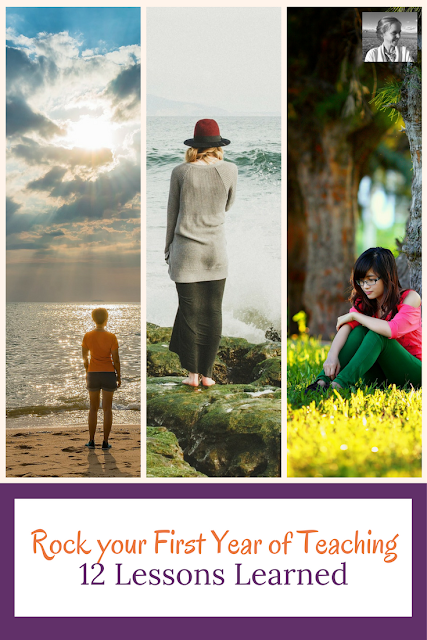 Here are twelve ideas to help you rock your first year. Feeling nervous? Afraid you might trip up on your words, or even throw up on your shoes? I've been there. One of my favorite epiphanies when I began teaching was that I didn't need to position myself front and center day after day. Indeed, my students were far happier and more engaged when I didn't. "Turn to your partner and...", "Find a group and...", "Begin by taking a look at the handout in front of you. Warm up by filling it in before we..." became my best friends. Workshop days, journal writing, peer editing, web quests, creative project work, movie clips, discussions that kept students talking to each OTHER and not pin-balling every comment off me... these have become the core of my teaching. Oh the strain of a lesson plan that finishes before you thought it would. And it will. The first time shocked me to my core. I had things scheduled minute by minute, but somehow my students completed them so much faster than I expected. I had no idea what to do. I think I awkwardly and guiltily released them early. By the second term I had a handy mental list of ideas for these situations, and you should to. Have students keep a choice reading book in your room that they can always read when they finish early or when you just need ten minutes for WHATEVER reason. Keep a stack of journals in class and a set of prompts glued inside the cover so you can always have them do a writing activity on a moment's notice. Invite students to participate in an ice-breaker activity to get to know each other better. If you don't know any, check out these fun ones from Cult of Pedagogy. Have students start the homework (use this as a last resort - if there isn't much time, they won't take it seriously). The critical thing with any unplanned activity is NOT to say it is an extra activity. Just smoothly transition into it as if you were always planning to do it, so they don't get a sniff of the fact that maybe you might consider letting them out early because actually they finished everything at speed. 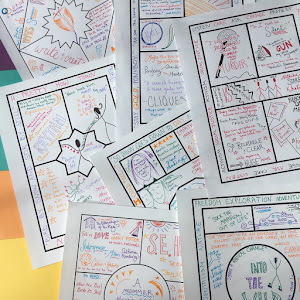 If you're short on time and you'd like a packet of fillers that are ready and waiting, I've put together ten short, creative activities for you that you can photocopy and keep handy. Never did I ever think my computer would die the week grades were due in my first year of teaching. I knew I was supposed to back up my files, but it seemed like the kind of thing I would grow into when I actually had time for that kind of thing. Dragging and dropping my million and one projects, handouts, and grade files into a flash drive every week or two was not something I felt excited about. These days I use a really easy system. I have the SeaGate external hard drive (I'm not an affiliate!) that will simply memorize everything on your entire computer when you plug it in and agree to have it do so. No more sorting, dragging, and dropping. If your computer dies, you've got everything. (By the way, mine died again, and I DID have everything). 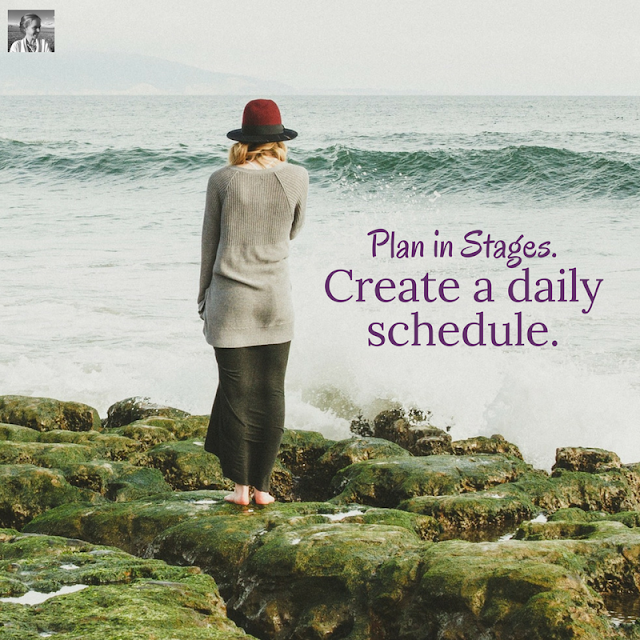 #4 Plan in Stages - the year, the unit, the day. You don't need to plan it all at once, but it's wildly helpful to look ahead. I eventually came upon a system of stage planning. At the start of the year, I would lay out the order of my texts. Then when I was almost done with one text/unit, I would look through the calendar and make a unit syllabus for what was coming. It would show all the dates and a VERY general summary of what we were doing each day and the homework. I used it, and I gave it to my students. Then when a new week came up I would look at my various syllabi and pencil in what every class was doing each day. This daily schedule kept me going day after day. No matter what crazy things the day threw at me, I knew exactly where I had to be and when. Call me crazy but for me, putting together a professional wardrobe was a matter of considerable stress and expense. My college jeans, sweatshirts and tennis uniforms didn't provide even a tiny start. I didn't have much of a clue, I just knew I wanted people to stop thinking I was a student. I bought nice pants and skirts and button-up shirts, but I wasn't too sure how to put it all together in an easy rotating system. Years later I found a blog that explained how I could mix and match my clothes together to make a hugely varied wardrobe if I found a few scarves, "completer pieces" like sweaters and vests, and some fun boots and necklaces. Check out this post from "Putting Me Together" to see an example of how the author could wear fifteen nice outfits from ten different pieces of clothing. Then browse through her blog (maybe set a timer? you could be in there for a while!) for inspiration. If you're on social media at all, you've probably seen a ton of graphics featuring the quotation "You Can't Pour from an Empty Cup." At the end of my first year I made a list of rules for the second year. There were at least twenty-five, though I don't remember a single one any more. The goal of my mega list was to carve back a few hours in each day that were about me. I knew I would burnout and leave the profession within a few years if I didn't figure out how to say no to students sometimes, how to allow myself to have an O.K. lesson every once in a while, how to find ways to get help from colleagues. Too many eighteen hour days had left me feeling fried. I liked what I was doing, I just couldn't actually do it any more. So I made my rules. See if you can figure out a few rules BEFORE spending the entire year working from seven a.m. to eleven p.m. most days. It's easy to feel that as a first-year teacher you don't have anything to offer your professional community. You might think you should leave submitting articles for publication and applying to present at conferences to the more experienced teachers. By the middle of the year, quite the opposite is true. You are likely applying lots of unconventional and fresh pedagogies, and getting intriguing results. Start early with submitting your work to education publications and presenting at conferences like your state level Association of Teachers of English annual conference. It's a good feeling to realize you can help others and get yourself noticed by your administration for your quality work right away. Though it's great to carve out time for fun reading, professional reading is also so helpful in the first year. I read The Courage to Teach, Educating Esme, The Freedom Writer's Diary, A White Teacher Talks about Race, Active Learning, Differentiated Instruction, and many more in my first year. I think I probably read enough for some kind of an education degree if I could find a way to get credit. You know how there are all those New Parent groups for people who have just had babies? Because of all the loss of sleep, confusion over what to do, and overwhelm that comes with a new baby? Well, there should probably be New Teacher groups too. Joking with someone about the crazy thing that happened in class the other day and trouble-shooting together can provide SUCH a sense of relief. Invite another new teacher or two to have dinner with you once a month. Or join an online community like my Facebook group, Creative High School English. Talk about what's going on. Surprisingly, though teachers are always surrounded by people, it can actually be quite a lonely profession. You are always the leader and guide, with no one to really talk to about how you feel and what you think. Boy is it ever easy to keep yourself awake half the night with those little mellow creme pumpkins so you can work and then get up at the crack of dawn so you can run to work and prepare an amazing escape room or museum exhibition in your classroom for your students. Over and over and over. But making a decision that you are going to put aside a realistic amount of time each week to work out will make your first year of teaching so much more manageable. You will feel better and more in control of your life if you take some time. Whether you enjoy swimming, yoga, a mountain hike, or some other form of healthy time for yourself, just do it! #11 Don't grade it all. Let me say that again. 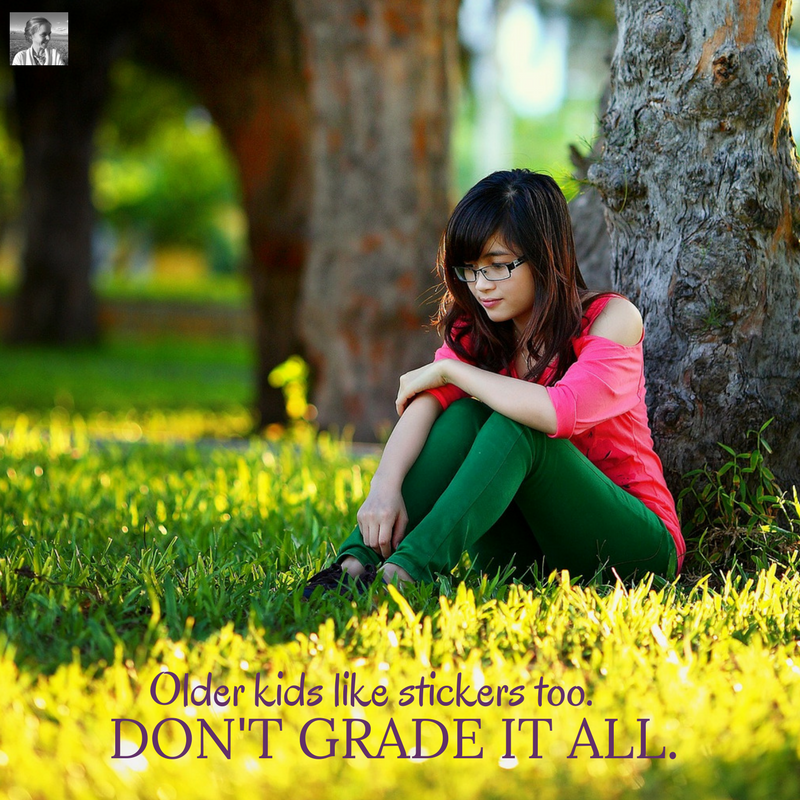 DON'T GRADE IT ALL. You don't need to. Students barely notice. Make one wonderful rubric to use for papers all year long. Craft one for book talks, one for research papers, one for creative projects. Assigning a project with eight different fabulous options? USE THE SAME RUBRIC for all of them! Make it general. You'll be so glad you did. 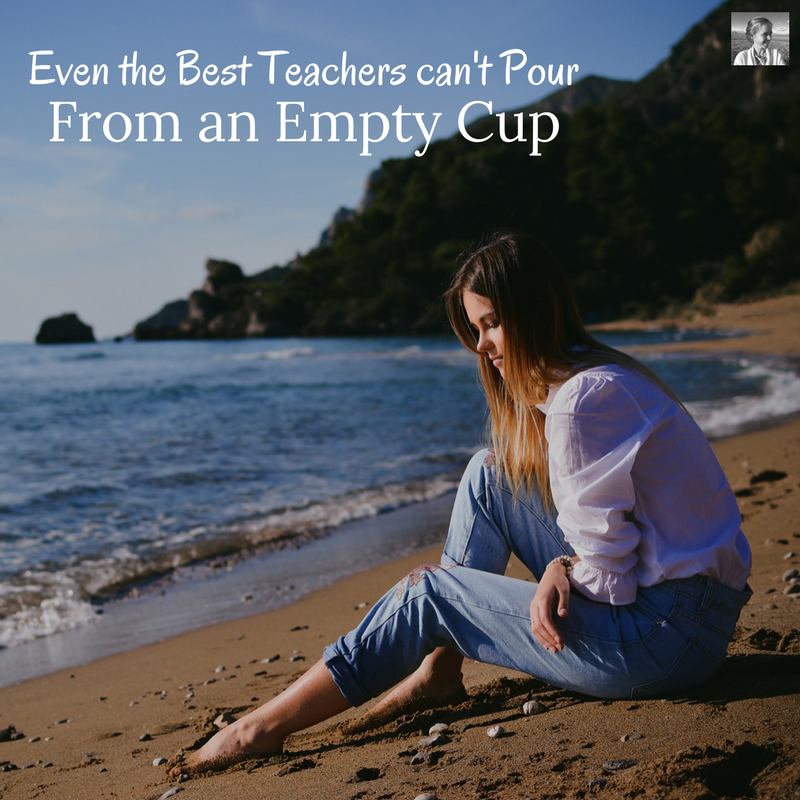 Grading without a rubric or making a brand new super specific one for every major assignment is work you simply do NOT need the first year of teaching. You can check out some of my generalized rubrics right here, and either use them as inspiration or pick them up to save yourself some work this year. I hope you'll find something in this list that eases your strain and makes you feel happier this year. It's not easy being a first-year teacher, but hopefully some of these tips and tricks will make it a bit more doable. Thanks Betsy! As a second-year teacher, this is an awesome reminder to not repeat some of my first-year mistakes!